Get up close and personal with a herd of Jurassic beasts. Flap your wings and soar through the Jurassic environment in the virtual reality “Birdly” experience. 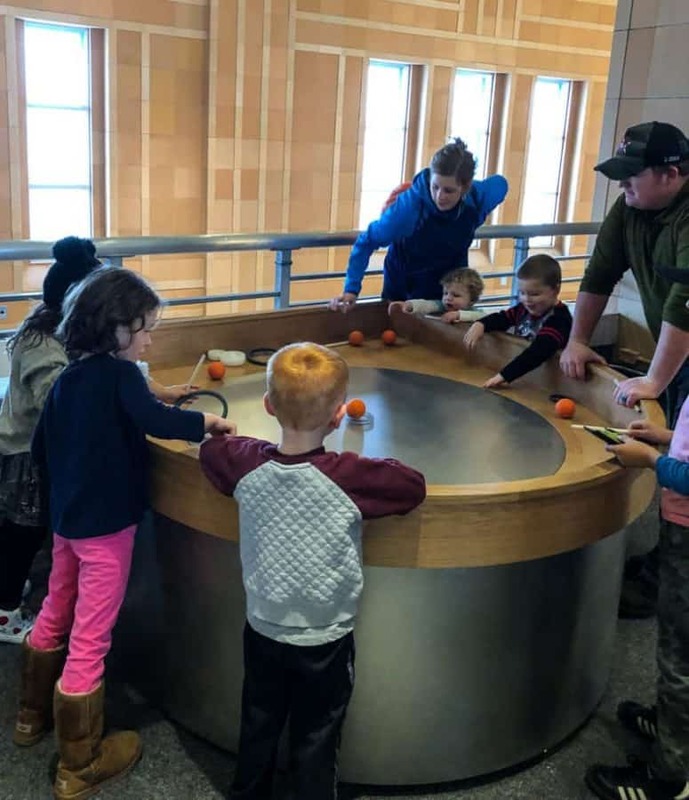 Get your fill of hands-on science fun. 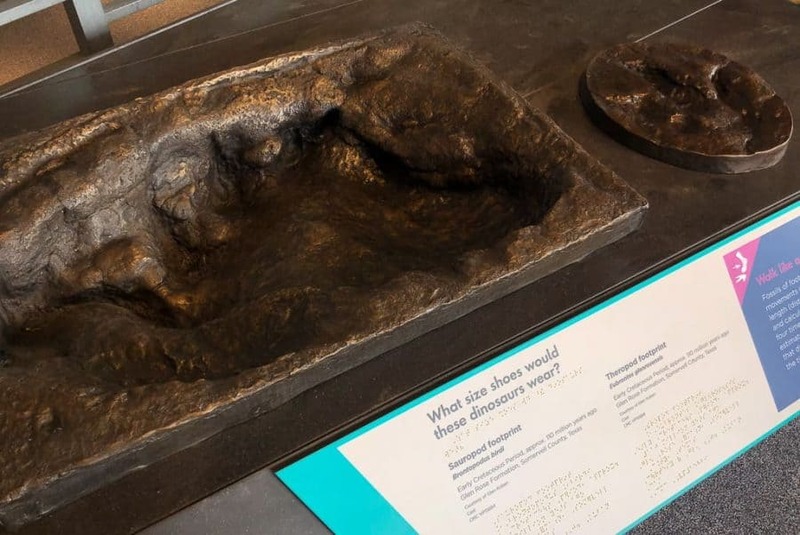 All of this is possible at the NEW Museum of Natural History and Science at Cincinnati Museum Center! 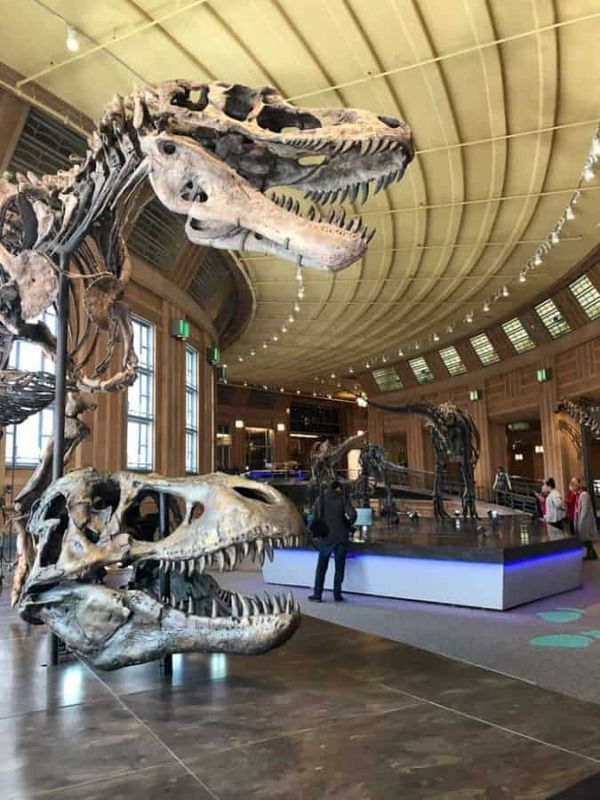 After a two-and-a-half year restoration period at Union Terminal, The Museum of Natural History and Science is back! 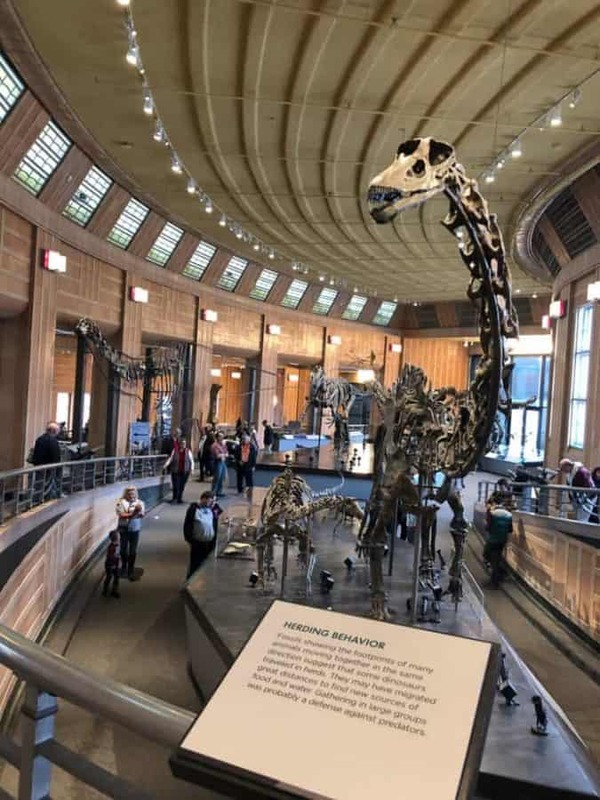 Two new exhibits are waiting for you at Cincinnati Museum Center’s Museum of Natural History and Science: Dinosaur Hall and Science Interactives Gallery. Calling all dinosaur lovers! Dinosaur Hall is the spot for you! 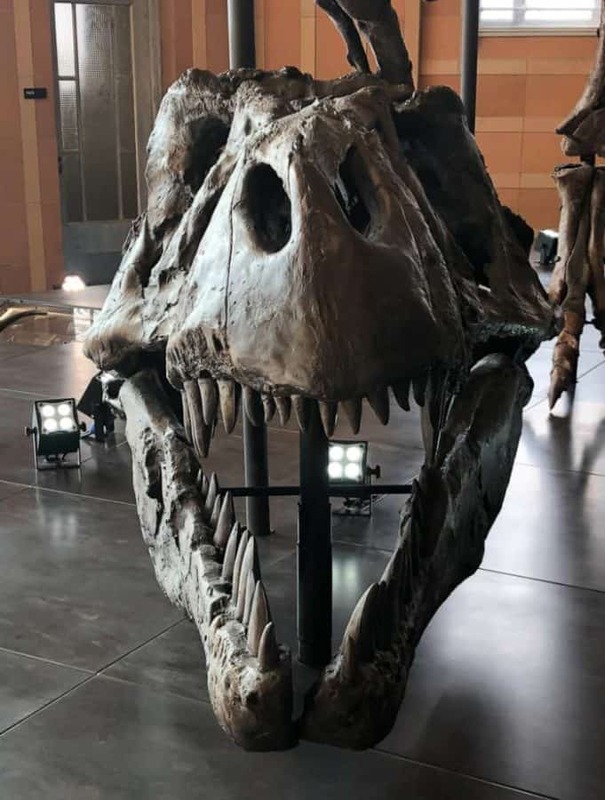 With 6 massive dinosaur specimens on display, this area is something to behold! 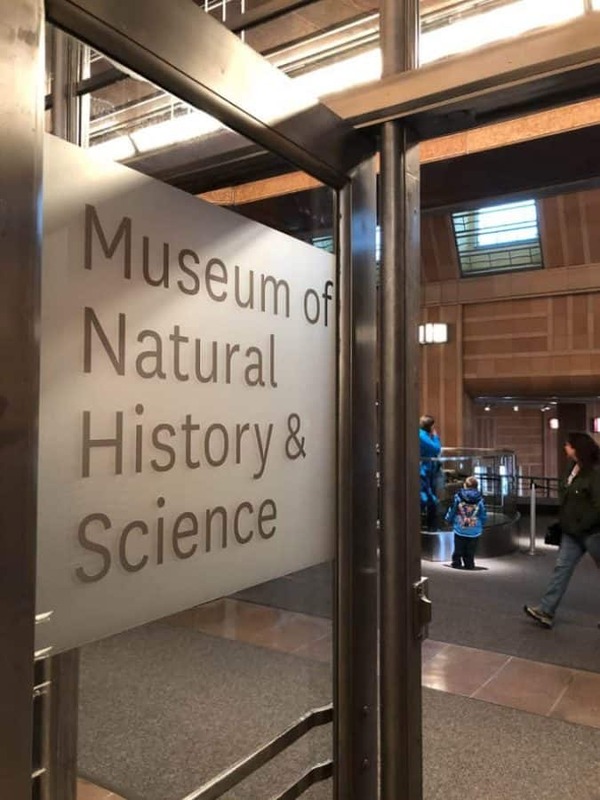 In addition to being amazed by the dinosaurs, you’ll find educational placards and interactive learning tools as well. And be sure to watch the walls of Dinosaur Hall for a special treat! The fun doesn’t stop there! 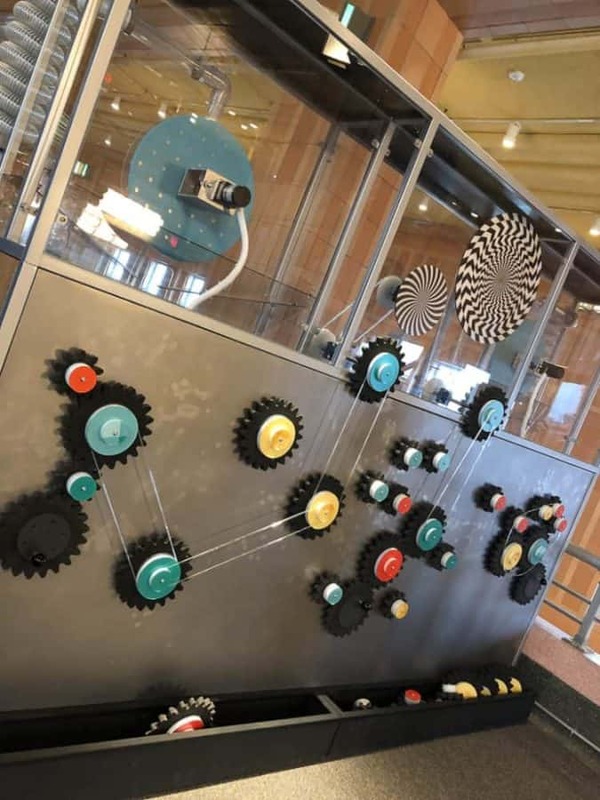 Walk down the ramp to find The Science Interactives Gallery – your spot for hands on science fun. This area is a science lovers playground. 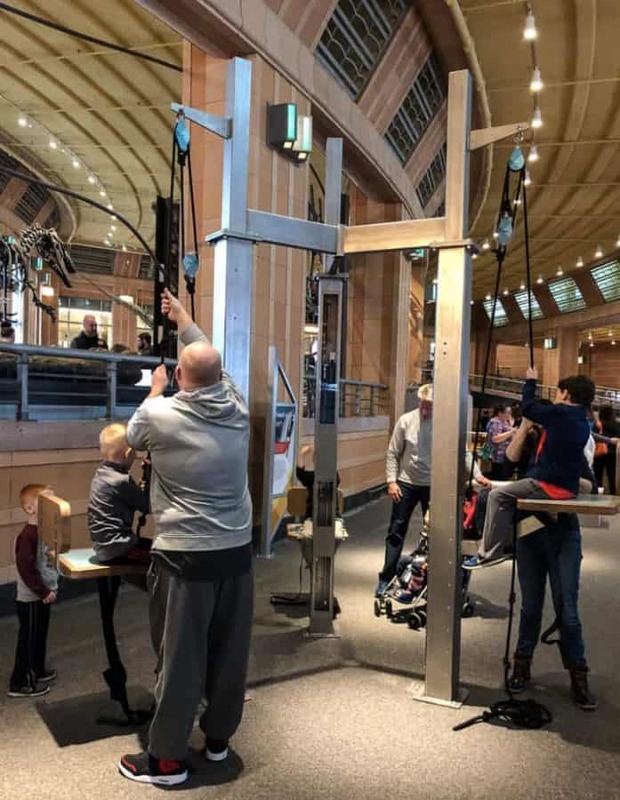 Learn how a pulley works (below) or challenge your friends and family to a game of tug of war. They’ve got “gizmos and gadgets aplenty”! And for those of you looking for a great date night, don’t overlook The Museum of Natural History and Science. There’s plenty to do for just the adults in the room! 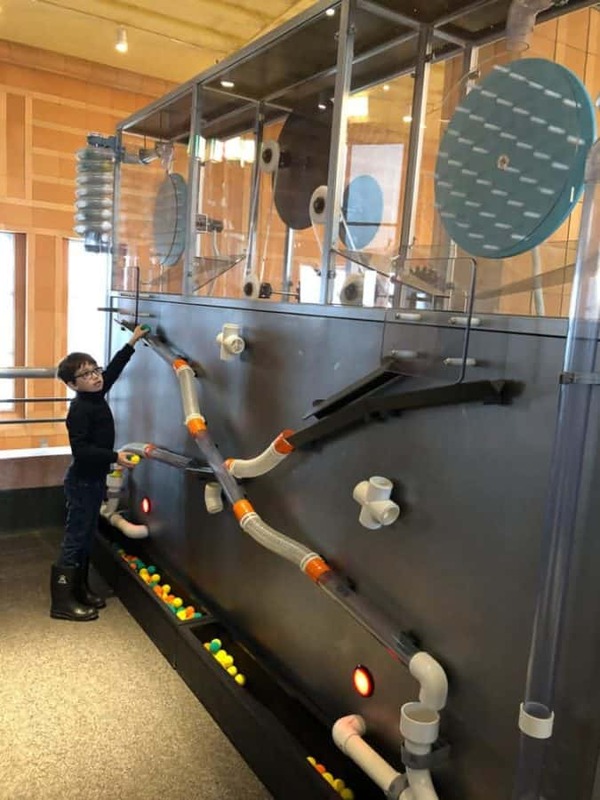 Browse through the dinos, play around in the Science Interactives Gallery, and learn from the interactive displays. Seriously, where else can you fly through a Jurassic environment (a virtual reality Birdly experience!) on date night?! Disclosure: 365Cincinnati.com is proud to have Cincinnati Museum Center as a paid site partner. Does the Museum Center still have the Model train layout. Will be coming down 15 mar for the national archery tournament and looking to visit after I get done shootin Sat .If so what time is the museum open to.